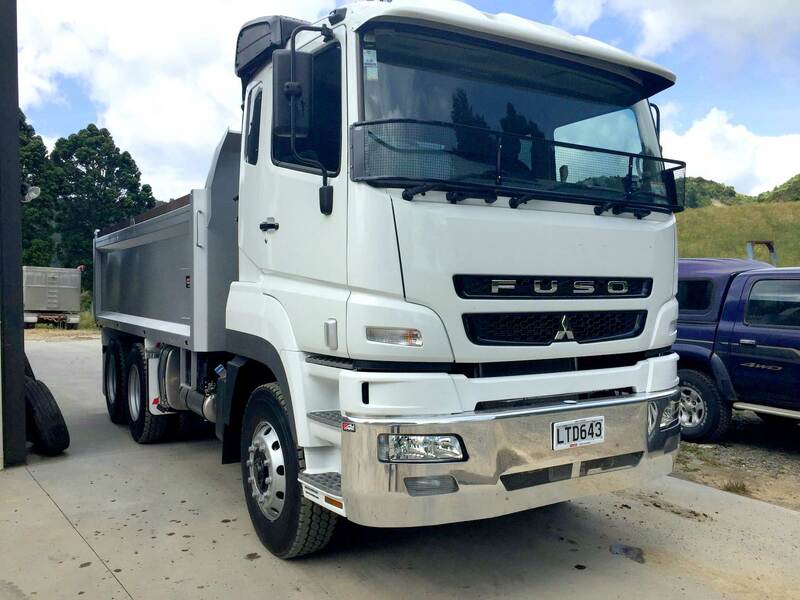 Mills-Tui 5m steel bathtub tipper built for Coromandel Contractors through Keith Andrews Trucks. 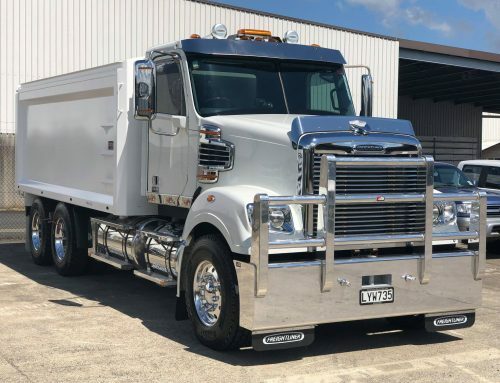 Bin is manufactured from 1450 mpa Raex with two-way tail door, hungry boards, Peterson LED lights mounted in stainless light bars, 50mm Rockinger tow coupling and trailer gear. KAT finished the unit off with tinted windows, alloy bumper and vertical exhaust.